The MSLS learning journey combines several elements to help you learn about, respond to and create change in complex systems. Nature itself, as a living system, is complex. Human society, a system nested within nature, is complex as well. As a result, most of the social and environmental challenges we face today are also complex, meaning they are highly entangled. To create a resilient social fabric, including a robust global economy supported by a healthy environment, we need to learn what it means to work and lead effectively in complexity and build our capacity to engage others in navigating change towards sustainability, together. To address complex challenges effectively, you will learn whole-systems ways of thinking, planning and problem solving. This approach is the background to both of the main themes in the programme. Strategic sustainable development means to create and execute economically viable programs for evolving products, systems, organisations, communities and everything else in a way that supports global society’s transition towards sustainability. You will learn about the sustainability challenge and related opportunities, and how to use field-tested, time-proven and science-based methodologies to perform strategic sustainable development in any context, at any scale. Leadership in complexity means to handle respectfully the complexity of our current world and effectively facilitate change in this context. You are invited to explore the meaning and implications of complexity for social change and your own leadership. You will learn and practise methodologies and develop skills for facilitating the change needed to build a vibrant, sustainable future together with others. On the path to becoming a change maker, you will learn to recognize and work with many ways of seeing the world. As we study complex systems, we live and work in one together, your peer collaborators will be from dozens of countries and many professional fields, bringing a great diversity of knowledge, experience and perspectives together in one learning community. Powerful guest lecturers from fields of practise around the world bring additional depth. You will leave with a rich professional and personal network that spans the globe. Together, we form a learning community made up of students, learning facilitators, researchers, global experts and practitioners from the field. The programme is also part of a broad learning network of similarly focused leadership programmes around the world. Taken individually, each of these core elements of the MSLS programme would be powerful in its own right. But the transformational nature of the programme comes from the way we integrate these together. 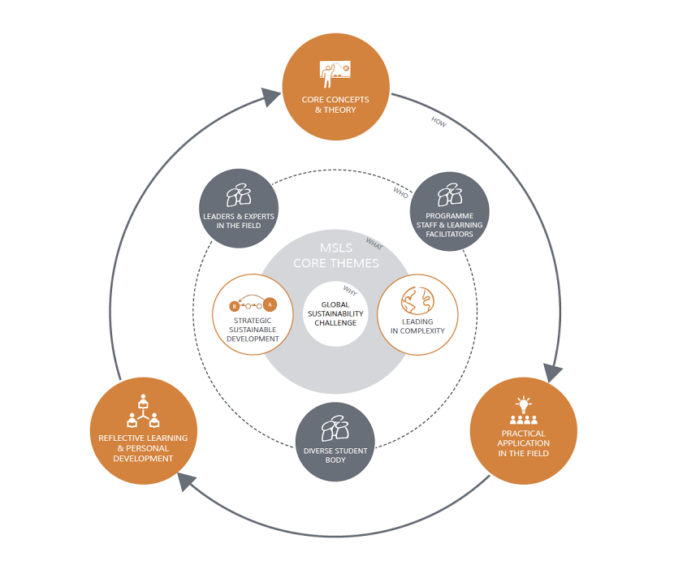 The delivery of the programme follows a spiral learning approach, beginning with an overview of the two themes, followed by progressively deeper exploration, practice and reflection. As the year progresses, learning also becomes increasingly self-directed, with solid support from the staff: your learning facilitators. The MSLS programme is designed to take you on a transformational learning journey to increase your leadership capacity. In addition to giving you practical strategic tools, you will be challenged to question, stretch and grow as an individual. A great deal of care is put into the design of the programme’s environment, in order to create the conditions that will best support and challenge you to engage with the learning experience. The MSLS programme revolves around two integrated themes: Strategic Sustainable Development (SSD) – a science-based, strategic approach in planning towards sustainability, and Leadership in Complexity – practicing leadership to effectively create change towards sustainability. In the course Strategic Sustainable Development (12.5 ECTS) we will focus on understanding more of society’s sustainability challenges as well as a solutions-oriented methodology for strategic sustainable development. We will explore the scientific foundations of the methodology as well as the relationship to other fields such as systems thinking, complex systems, economy, governance and strategic management: Finally, we analyze and reflect on some of the most cited concepts and methods in the field of sustainability. In the Innovation for Sustainability course (5 ECTS) we will focus on how innovation can support society’s transition to sustainability. You will learn about innovation theory as well as methodology for product- and service innovation and how this can be integrated with strategic sustainable development. Additionally, we will focus on creativity and how we can spark creativity for innovation for sustainability. In the course Research Methodology for Sustainability (5 ECTS) we will focus on research methods and approaches, specifically in relation to sustainability. The course helps prepare you for the thesis project in one of the next courses. In the Strategic Planning for Sustainability course (7.5 ECTS) we will focus on theories and methods for strategic management of an organization, specifically as regards management for strategic sustainable development. The course Leading in Complexity (10 ECTS) runs throughout the whole programme. We will focus on theoretical foundations for leadership in complexity as well as developing abilities and skills in this regard. The Master’s Thesis in Strategic Leadership towards Sustainability (20 ECTS) is the culmination of the MSLS programme, allowing you to deepen your knowledge and understanding of the themes of the programme in application to an area of your interest. In line with the overall goals of the programme, the thesis is performed as a collaborative project. Upon successful completion of the degree, a Master’s of Science (One Year) in Strategic Leadership Towards Sustainability will be granted. 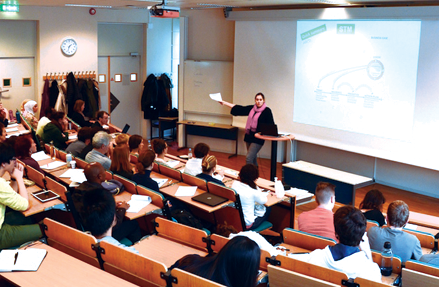 Throughout the academic year, at least one field trip within Sweden and/or surrounding areas will take place. The purpose is for students to learn about applications of sustainable development with individuals, groups and/or organisations. It is also a great opportunity for students to increase their networks and contacts in different fields and areas of work. 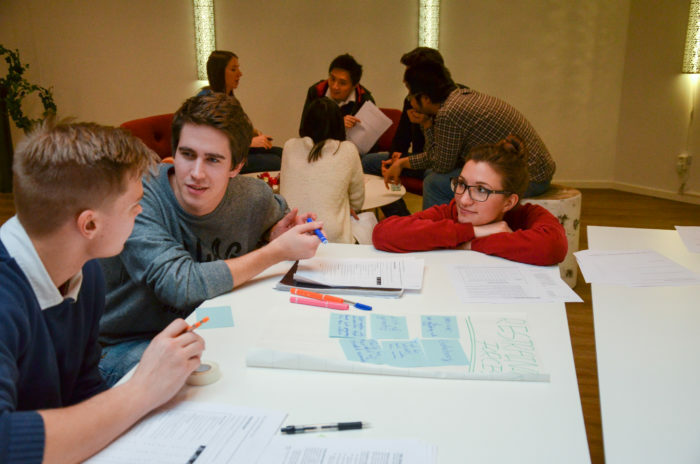 Students should budget 1500 – 2500 SEK per person for these activities. Field trips are mandatory. Studying in Sweden may be quite different from what you are used to. While the Swedish educational system emphasises academic quality, it is also permeated with an open and informal atmosphere where students are expected to develop their own intellect. Group work, personal initiative and critical thinking are all important. The relationship between staff and students is informal. With the many undergraduate and postgraduate programmes being completed by students from all over the world, BTH’s student life abounds with diversity. There are opportunities to participate in a range of activities from joining sports and social clubs, to DJ-ing at the student bar, to organising events such as international dinners and creative events of all kinds. MSLS students are heavily involved in campus activities and the professional experiences and entrepreneurial spirit of the MSLS class are put to good use promoting sustainability and cultural exchange within the student body. MSLS students are also active in the community and are connected to local supporters of sustainable development. Many years, the class hosts a public outreach activity bringing some of the world’s most recognised experts in the sustainability field to Karlskrona. Within the MSLS community itself, what goes on during classes is only part of the overall experience. 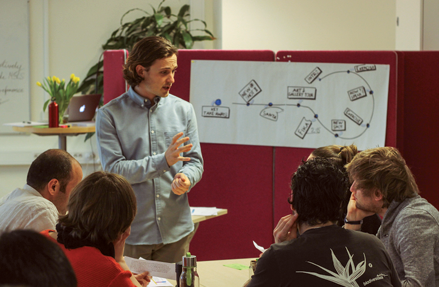 The intensity of the programme, its design as a learning journey and its highly international character (40-60 students attend from over 20 countries each year) make it unique on campus. The diversity of skills and experiences in each class allows for a variety of self-organised activities and ensure you’ll leave Karlskrona with a unique experience and many fond memories. The close friendships formed during the year translate into a strong international alumni network of sustainability colleagues after graduation. Past thesis projects have covered a diverse range of topics including investigations into biofuels, carbon trading, product design, global governance and reporting, partnerships, industry case studies and business strategies for sustainability. To find a list of all thesis written for the MSLS programme and full text documents in the university research database, please use this link ( you can also refine your search here). We are always looking for interesting research opportunities out in the field that allow our MSLS students to partner their thesis research with the needs of businesses, government’s, NGO’s or other institutions to help solve real world sustainability focused challenges. If you have such a challenge and would like to suggest a thesis topic for our students to work on, please submit your suggestion here. 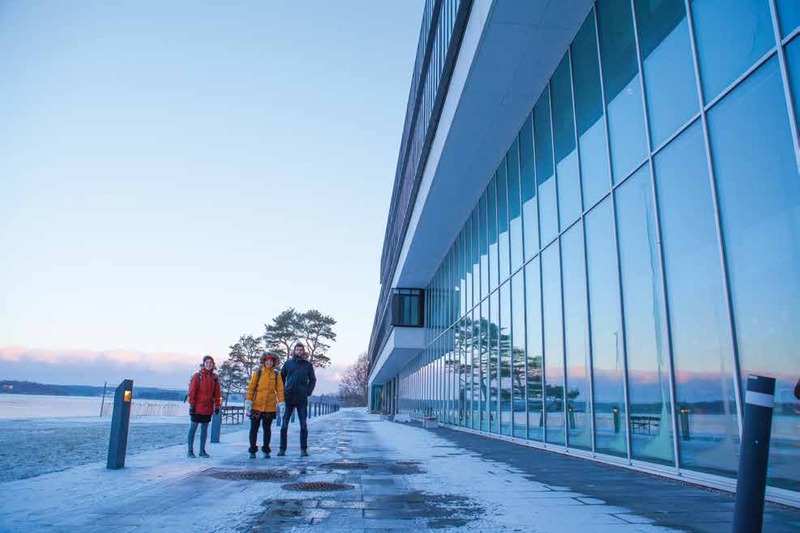 BTH is a research and teaching university, serving about 5,000 students each year through 22 undergraduate programmes and 18 Master’s programmes taught in Swedish or English, as well as numerous PhD candidates. At BTH applied IT and innovation for sustainable growth is in focus. Together, the faculty, staff and students represent over 70 countries. Integrating aspects of innovation for sustainable development in its programmes and campus operations is a priority. The Alliance for Global Sustainability ranked BTH first in Sweden and third in Europe for sustainable development. The sustainability research at BTH has also been deemed excellent and internationally leading by independent external evaluators. 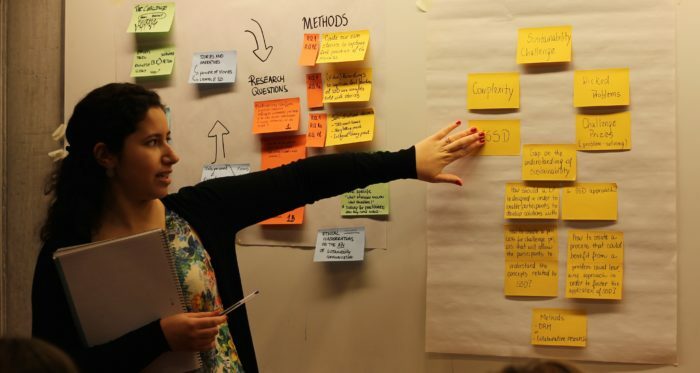 The Strategic Leadership towards Sustainability Master’s programme (MSLS) is hosted at Campus Gräsvik, in the city of Karlskrona, the capital of Region Blekinge in the south of Sweden. The city is situated on an archipelago and has been designated a UNESCO World Heritage Site due to its unique naval heritage. Karlskrona abounds with cultural buildings and its beautiful natural setting makes it a tourist destination in summer, with regular ferries through the archipelago. The island setting means there is good access to beaches and bathing areas, and water sports such as sailing, kayaking, and canoeing are popular. In the winter months there is some snowfall, though Karlskrona’s climate is considered mild compared with more northerly parts of Sweden. 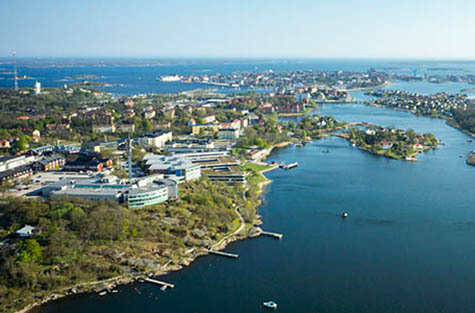 With its 60,000 inhabitants, Karlskrona is large enough to give you necessary conveniences and small enough to provide an intimate and idyllic setting for learning. Studying the MSLS programme also provides the opportunity to explore the Swedish way of life by learning Swedish, visiting cultural attractions and the beautiful natural surroundings, and exploring the activities and initiatives around the country that make Sweden a leading nation on sustainability.